Thank You for visiting my site, as your Realtor I WORK FOR YOU! Real Estate in is all that I do, and choosing me for your next real estate transaction will allow you to see for yourself why my client testimonials were written. I pride myself on providing real value to my clients in every transaction. In delivery of this commitment I will provide buyers and sellers the perfect blend of technological and traditional Realtor services when prospecting for a new home or selling the existing residence. And the level of technology used and in-person interaction is determined by you. YOU are my Priority ! Access to mortgage lending programs that will be optimal for your circumstances. Agents that can consult on Financial issues - Mortgages, Interest Rates and Tax Benefits. 100% Financing available if you have not owned a home in the last three years, and up to 3.5% grant of the loan value, up to $417,000. Automated updates of new listings that match your criteria by email. "What Buyers Want to Know" - Your source for the latest tips, checklists and free reports. A career Sales Person and knowledgeable agent who knows how to get the job done, get a good deal and is responsive to all your real estate needs. Providing you prompt service, personal guidance and professional competence from contract to settlement. Allow me to list your home for a quick sale. As a residential real estate specialist, I know what it takes to sell your home. I bring expert knowledge, valuable experience blended with the latest technology, a well-defined marketing plan, a cohesive network, energy, enthusiasm and the excitement of a job done well. Advice on the best price and strategy to list and Sell your property. "What Sellers Want to Know" - Your source for the latest tips, checklists and free reports. I am well versed in all of the Federal, State and Local Financing programs and Grants that could benefit my clients. There is up to $31,000 available for qualified First Time Buyers in when combining local buyer incentives with the Freddie Mac and Fannie Mae buyer incentives in addition to some very agressive lending programs, (80-10-10 Jumbo is back), (2% down payment), (203K Home Improvement) and more so there is not a better time to buy. Just call me, and let's see what is available for you. Looking to right size, I will position your current property with a wide range of tools, from internet and social media marketing in and out of town, to traditional marketing including staging and aromatizing. Selling the current home for Top Dollar, giving you the confidence needed when negotiating for your best deal for your new home. I have made it a point to educate myself and seek out the best of the best for negotiating with the Banks for Short Sales and REO properties. 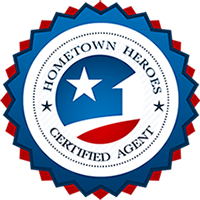 To expertly assist Buyers, Sellers and Investors with Short Sales and REO properties I have earned National Association of Realtors Certifications for SFR, (Short Sale and Foreclosures), 203K (Home Rehabilitation Loans), RCC (Residential Construction) and CDHE (Certified Distressed Home Expert). Furthermore, I have affiliated with Home Resource Institute, a Professional Short Sale Firm, (Attorneys talking to Attorneys), to manage and address the unique specific needs, of a Short Sale and who is compensated entirely by the Mortgage Lender rather than the Buyer or Seller. Please take your time and look around, if there is something you need that you are not finding please do not hesitate to ask. "The data relating to real estate for sale on this web site comes in part from the Internet Data Exchange/ Broker Reciprocity Program of Bright MLS. The broker providing this data believes it to be correct, but advises interested parties to confirm them before relying on them in a purchase decision. Information is deemed reliable but is not guaranteed. © 2019 Bright MLS, Inc. All rights reserved. DISCLAIMER: Data updated as of: 04/22/2019 11:06 AM"